Custom designed Chromoly 4130 (Cr-Mo) frame and fork, Colour: matte black. 13 frame mounts. Chromoly is lightweight and ultra strong than steel. SRAM 'X4' 8 speed gears with SRAM Truvativ chain wheel. Designed in Melbourne, Made in China. It has a 18 inch (47cm - medium) frame made with ultra strong lightweight and flexible Chromoly that would absorb road vibrations. And also you get a good quality SRAM X4 - 8 speed gear-set with a chain guard. Also Tektro hydraulic disc brakes for supper fast effective braking. The frame and the fork it is made with high quality lightweight Chromoly 4130 (Cr-Mo) . Chromoly is the workhorse of steel and is a mix of steel with Chromium, Molybdenum, Carbon, Manganese, Sulphur and Phosphorus. Thanks to its composition Chromoly frames are not as rigid as steel or alloy. Chromoly is very strong and same time thanks to being flexible the frame would absorb road vibrations. Also the frame would last a very long time. 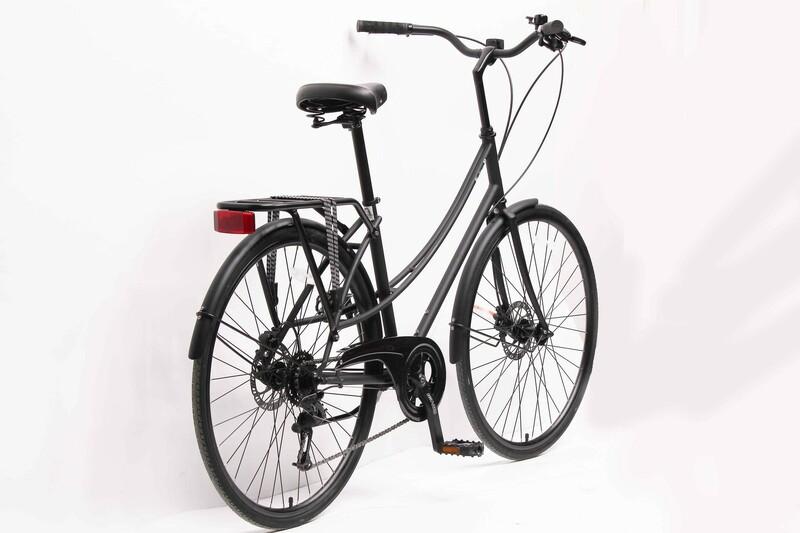 With the rear rack, mudguards, the stand the bike would weigh around 12.5 KG. 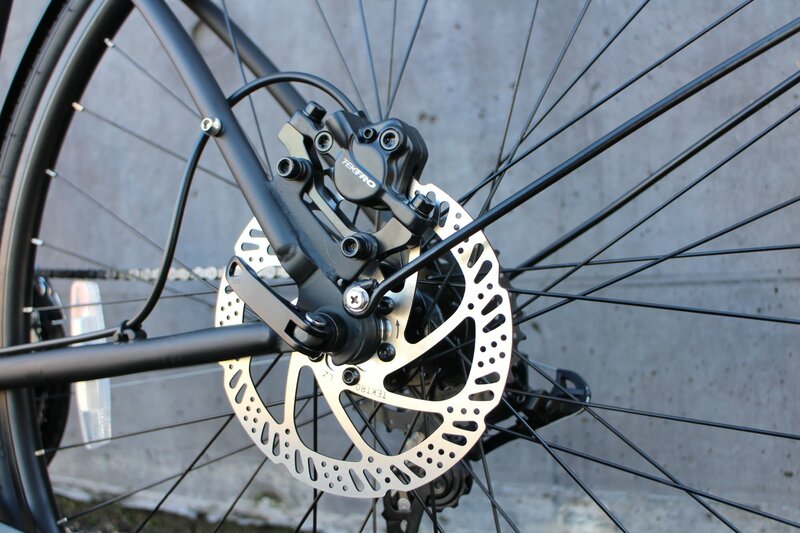 Tektro Hydraulic Disk brakes. They are very good quality, responsive brakes. Also durable. TRP is the high-end division of Tektro, a huge manufacturer of brakes and other bicycle components. Can guarantee that you are getting a reliable set of brakes with Tektro. SRAM Crankset (Chainset) is 44T with a 170mm arms is made with Forged crank arms. Also comes with a chain-guard. The cassette is comprised with 8 cogs ranging from 11T to 32T. .
SRAM is the Mac in the bicycle world. SRAM is based in Chicargo, United States and they even had Tour de France winners with SRAM groupsets. SRAM is super reliable and very well made. Can guarantee you on the quality. SRAM parts are widely available and similar price to its friendly rival Shimano components of similar specs. You would see what I am talking about if you are willing to give this bike a test ride. Tyres 700C x 28C, KENDA (inflatable up to 85 PSI). Kenda tyres are durable and default choice of tyres in may high end brands as well. 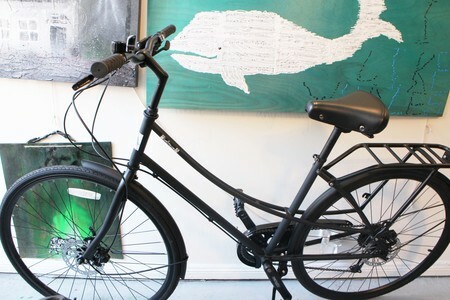 This bicycle comes with 14 mounts for mudguards, bottle rack and mudguards. 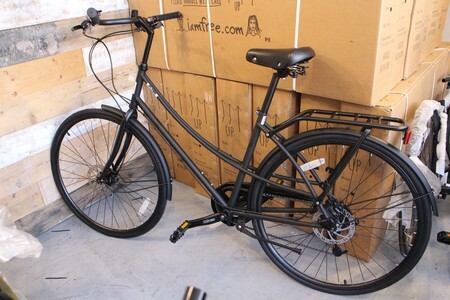 All mounts is pretty much used apart form the bottle cage as this bike come with a rear rack, mudguards and a stand. 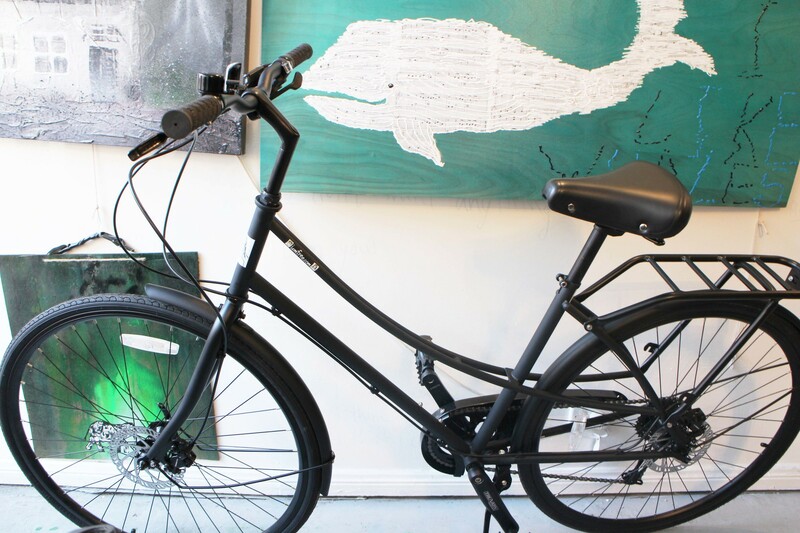 Alloy rear rack - custom designed matte black is super light weight. 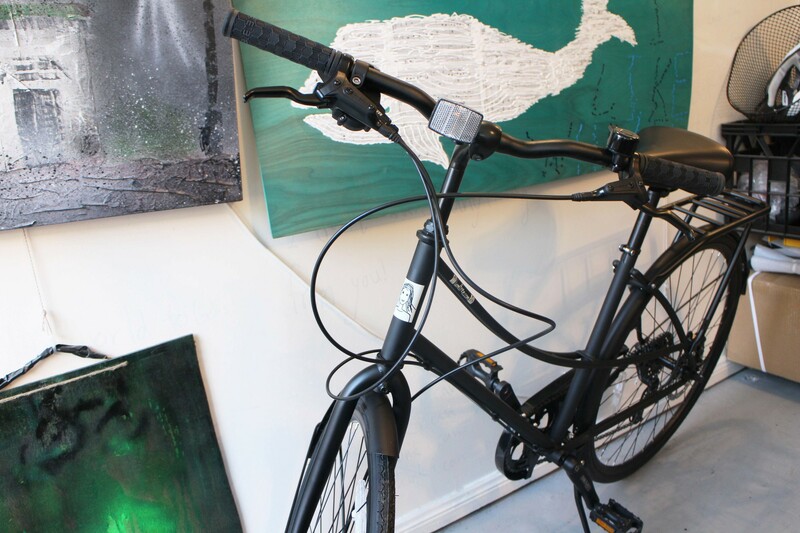 Bicycles sold at the store are fully assembled and ready to ride. There are few bikes already setup and looking forward to serve. Very happy to offer a test ride. If you like a bicycle, you are very welcome to purchase that bicycle on the spot. If you purchased a bicycle online and would like it delivered then, the bike would come in a box and 85% assembled so not that difficult to setup. 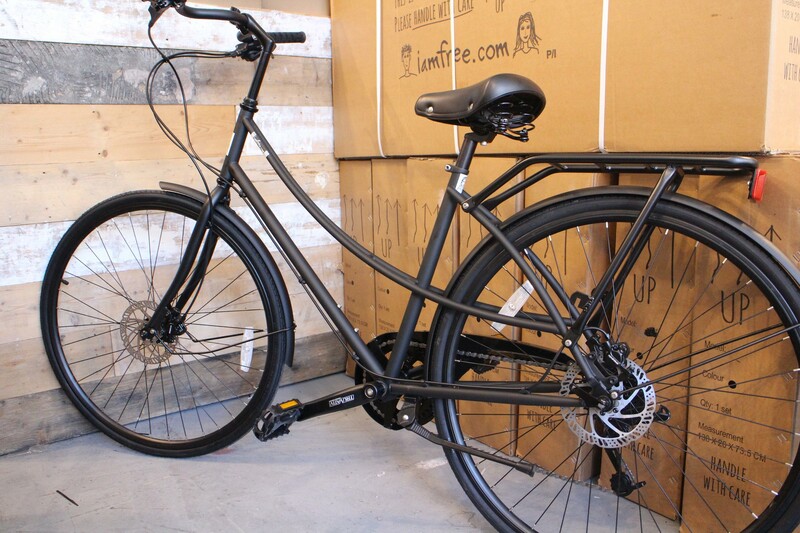 It is highly recommended that newly assembled shipped bike gets double checked by a professional or get built by a professional bike mechanic. 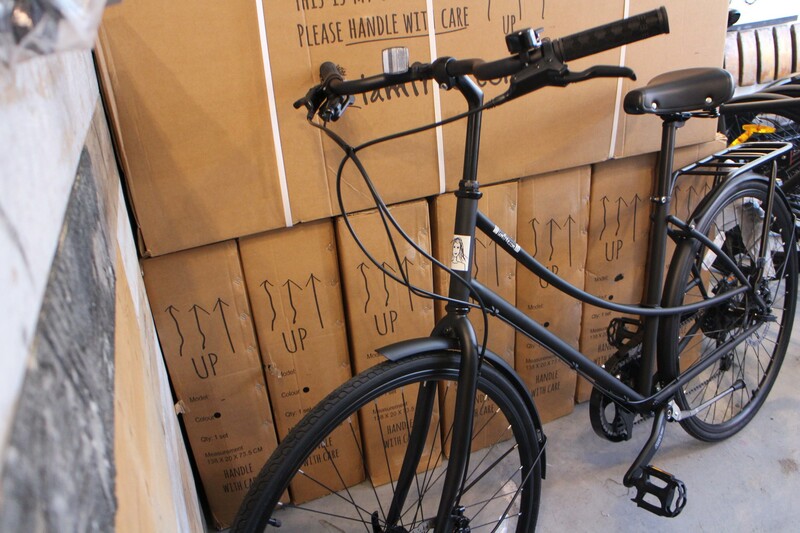 Before shipping we would unbox a bicycle and do some checks. That way you would have a minimum setup. Also a peace of mind from us knowing that all is well before a bike being sent.